Sometimes in the process of being an outlet store, we purchase some overstock or remainder titles in quantities over and above what we need in a smaller market. 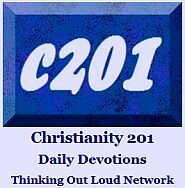 We share these items with a network of other stores, which learn about them on the Christian Book Shop Talk blog. Generally speaking, the minimum order for this type of purchase is at least 100 items. We generally sell packages consisting of remainder books acquired through up to ten different remainder sources. 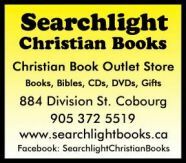 Currently we have packages on offer in Christian Fiction and Marriage/Family resources. We also have 50-packs of blowout bargains for small stores which want to present a fuller inventory on a lower investment. Occasionally we help out stores smaller than our own when they need a piece of merchandise in a hurry. Usually they are in driving range to pick things up in Cobourg. However, we remind everyone that Canadian distributors own proprietary rights to the distribution of key product lines in this country. It’s great when stores help each other out, but we don’t make a habit of this.